We are a Boutique Commercial General Contractor Oregon City Oregon, specializing in medical-specific construction. We do Dental Office & Medical Office construction including Tenant Improvement & Remodeling, with an emphasis on sole-proprietorships. We are a commercial contractor Oregon City Oregon with experience in both new construction and development, including medical tenant improvements Oregon City Oregon and dental tenant improvements Oregon City Oregon. We specialize in construction services as well as a design-build approach for a dental clinic, medical clinic, dental lab, medical lab, and surgery center. We would be happy to meet with you any time so you can learn more about our energetic and modern methodology. We bring a level of communications and understanding not usually found in medical construction and dental construction! Our experience in occupied medical construction and occupied dental construction means we understand your business and our need to complete your project with as little disruption as possible while capturing all of your requirements and preparing you for your future. Our clients, who are now all in the medical and dental fields, have higher requirements for construction, for which we are highly experienced and ASHE Certified. ASHE certification is a health care certificate for construction, having a lot to do with dust control and infection count healthcare in a healthcare facility is different from working in other environments, in that most maintenance, renovation, and construction projects are done in or near patient care areas. It is critical for everyone involved in occupied medical construction project or occupied dental construction project to have a detailed understanding of the healthcare setting. Portland Commercial Construction is certified as an “Emerging Small Business”. ESB certification is for Oregon small businesses that seek contracting opportunities for state, county and city government and special jurisdiction (e.g., hospitals and universities). Portland Commercial Construction has had numerous project contracts and on-call contracts with public entities. Licensed, bonded and insured in both Oregon and Washington. We are well-versed in dust and odor mitigation. 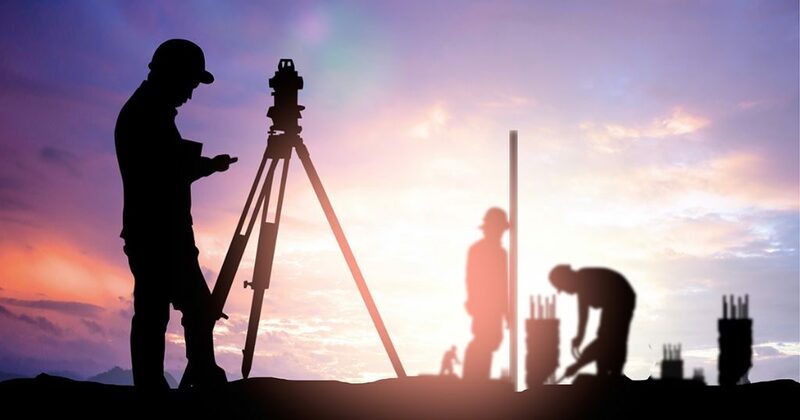 The services offered at Portland Commercial Construction are geared to fit all your medical construction Oregon City Oregon and dental construction Oregon City Oregon needs. We specialize in managing all aspects of your medical tenant improvement or dental tenant improvement project from conception to completion. We bring your medical development or dental development project to life with ideas you may not have considered. Our vast resume of successful projects, in multiple jurisdictions, helps assure an experienced and predictable process. We offer small firm attention with big firm experience. We can assist you in finding the space for your dental clinic, medical clinic, dental lab, medical lab or surgery center. If you need land, we can help you locate your new location, then help with space planning, design, permitting, and building your project. Attentive collaboration with our clients and design consultants is the key to our extensive resume of quality, cost-efficient medical construction, and dental construction projects. 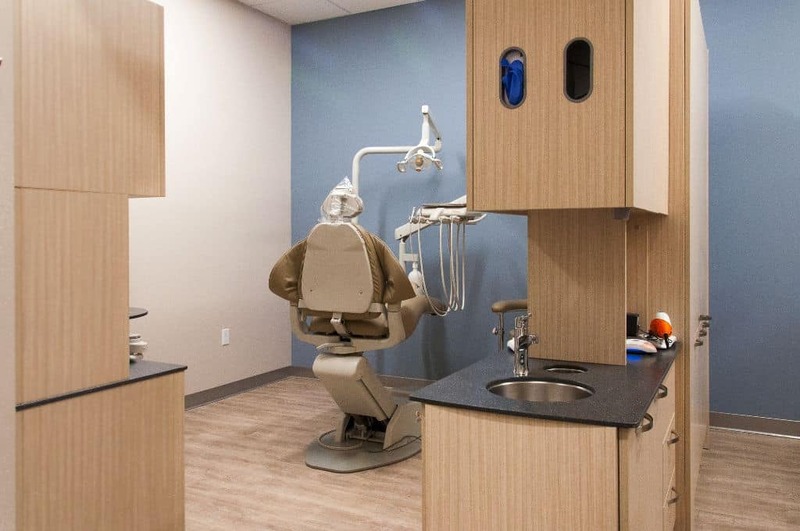 Managing and building new commercial environments, renovating commercial buildings and building tenant improvements for dental clinics, medical clinics, dental labs, medical labs, and surgery centers is our business. While we prefer to be involved at inception, we are perfectly comfortable reviewing your completed drawings and providing feedback, advice and construction estimates. We are proud to have Portland Commercial Maintenance provide all medical maintenance and dental maintenance work, all with one call. Although we are experienced in both general and medical-specific construction, our company is relatively young. Everything in construction is based on ‘old and experienced’, but you’ll notice that nothing in construction is built the way it was 20 years ago. So, we do not let ourselves be hindered by preconceived ideas. We are passionate about learning, creating and enveloping new technologies new ways for medical construction and dental construction. Just because you are used to building something a certain way and it has worked doesn’t mean it’s the best or the least expensive way to do it. Next week I am meeting a doctor in his existing office because the facility will not be available to him long. We will look at several properties, go over design options and help him consider the best plan for his practice, then make a recommendation on which property to purchase. We will then go through multiple designs for that property to narrow down the perfect project for him and his business. This process is definitely the way to start and we gladly help our clients through all steps of the process. We encourage you to not start with a process in a mind but with the end in mind. Some of the things to consider are cost and design and how efficient the building is for you. A large occupied medical construction or occupied dental construction project might have 5-6 phases and each phase may have 3 sub-phases. Multiphase construction goes back to keeping the end in mind. It may be that you have enough money to pay for your dental clinic, medical clinic, dental lab, medical lab, or surgery center project, but you only have that money because you are generating it (you need to keep working while the remodel is going on). To make this happen we might need to do night, off-hours or phased work. 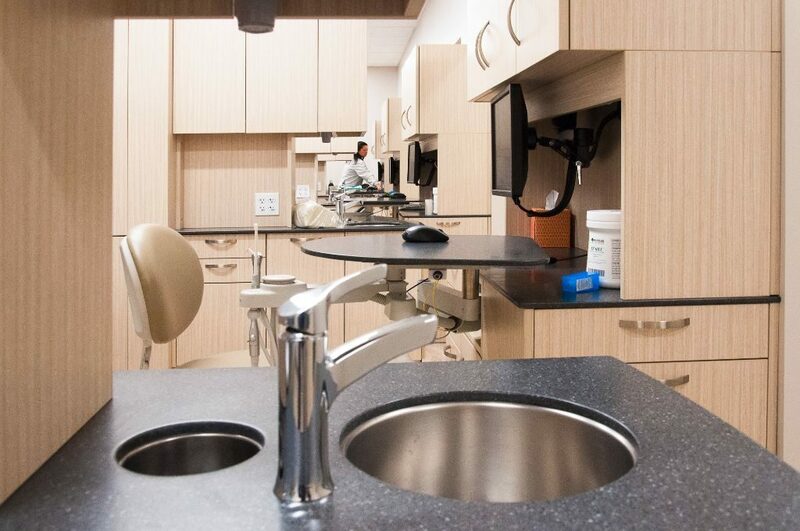 Multiphase medical tenant improvements or dental tenant improvements take longer, but it allows your dental clinic, medical clinic, dental lab, medical lab, or surgery center to stay open during construction. There are multiple options, including setting them up in a temporary location. We work with you to determine the best plan. Professional medical equipment and dental equipment is an ever-expanding field since manufacturers are constantly developing new technologies. We pre-plan for that, building in extra space for wiring and installing conduits for future pulls, as well as anticipating the need for additional water lines, vacuum lines and upgraded power requirements. We realize the equipment maintenance staff will frequently need access to equipment for the duration of the life of the building. We pre-plan with you for what they will need to provide maintenance, do upgrades, install new equipment, etc. A wider doorway now may save you a significant remodeling cost in the future. We assume your office will continue to be the best, newest and most cutting-edge facility, so we build to prepare for the future. When we design a dental clinic, medical clinic, dental lab, medical lab, or surgery center, we design it not only for the equipment you have but for the equipment you are going to have, even though it does not even exist yet. This informs the decisions we make about underground, soffetting, trenching, water, power, backing, and putting in additional pathways. We prepare for equipment and technology of the future that are not even in use today because it is a lot less expensive to prepare for them now than to retrofit later. It also increases the value of your building should you decide to sell it. In the future, we want to be able to say ‘this upgrade is only going to take two days of work, not shut you down for 6 weeks while we rebuild your office’. The ability to grow always has to be taken into consideration, not just today or tomorrow but in the long-range future. For example, if in your office you see the future need for six operatories, but can only afford to build out four at the current time, we can build for six and only furnish four with equipment, while having a plan to build out the other two the next year. We are easy to work with. We understand medical construction and dental construction what needs to be done. We are very willing to look at all the options and be on that cutting edge and make things happen. We don’t say ‘no’, but say ‘we’ll figure it out’. We do not have ‘we can’t get it done’ in our vocabulary. It’s one thing for you to find and hire a roofer, a concrete company or a flooring installer occasionally, but you may need our help when several of these things need to happen in a short period of time. 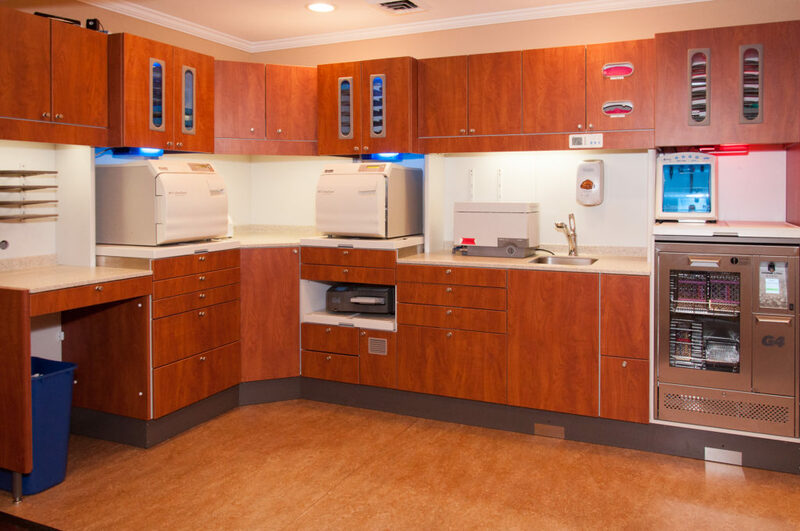 We often work in intensive, critical areas in medical facilities, so when it comes to a remodel in any situation, we bring that experience and that level of concern to it. We understand the need to minimize or eliminate downtime. We keep your facility clean and free of dust so you can keep working. Our expertise at medical-specific construction rolls over into every aspect of construction. We bring this approach to the project whether it is a $1000 project or a $10 million dollar project. The process is the same: how do we handle a project on an existing building so it doesn’t affect the neighbors, the community and the city. That’s where we excel. We give each medical construction or dental construction client all the correct information and involve everyone who needs to be involved. We find out who is or will be affected and what we need to do to get it done with as little impact as possible. The cost consideration comes into the equation as well: is it the most effective for you to shut down or more effective for us to do multiphase construction where you pay a little bit more, but it’s the best course. We talk it through to get the perfect job at the perfect price. We don’t run it, knock it out, make a mess and leave you wishing you’d done it a different way. On small medical and dental projects of $20,000 and below, not a lot of paperwork is typically involved. For all project, regardless of the size, we are always accountable for price and quality. Once we have the plan for the project established, our attitude is to get things done while collaborating throughout the project. Our motto to ‘organize and execute around priorities’ comes into play so we never let a client down but gain another strong referral from a satisfied client. We move forward confidently to finish strong. Your medical clinic or dental clinic may have maintenance staff to cover routine maintenance and take care of simple emergencies, but they may not have the time or qualifications to handle utility upgrades, painting projects, site improvements, and additions, deletions, or modifications of facilities. We can set up maintenance contracts with you, so you can simply call us – and know that a quality company will take care of your needs in the most cost-effective and timely way. 2519 N Hayden Island Dr.